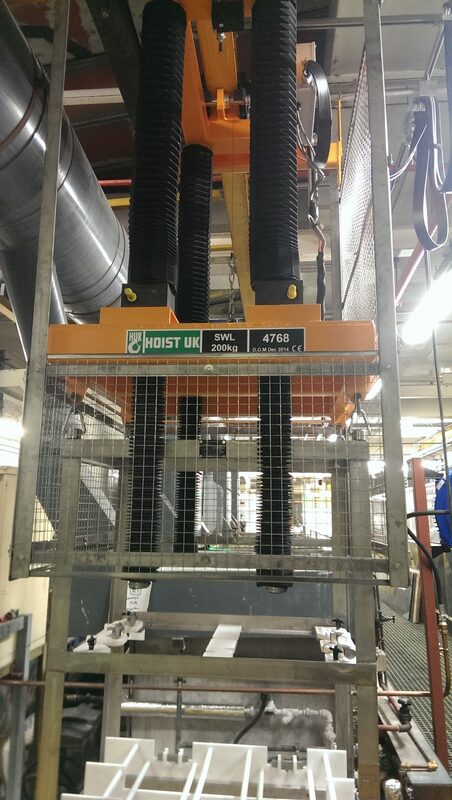 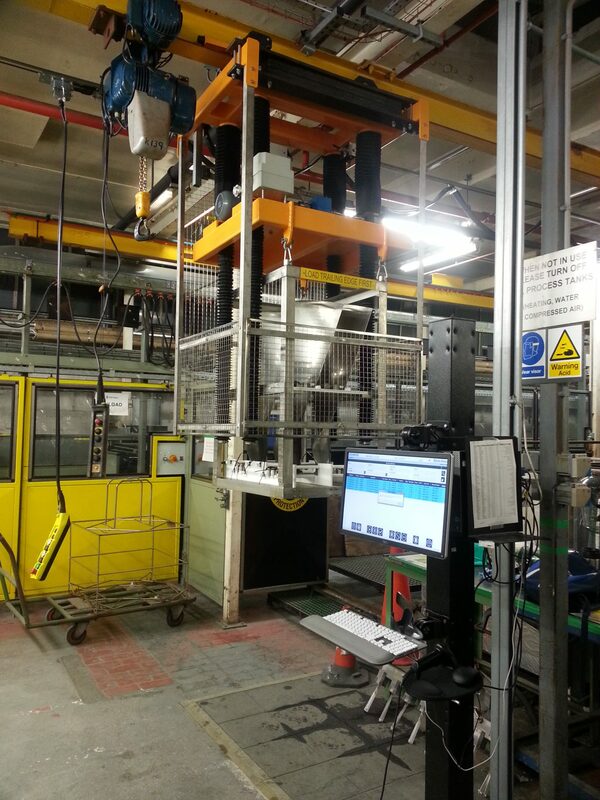 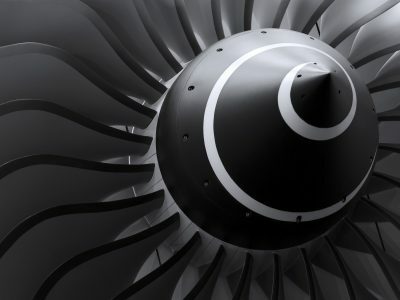 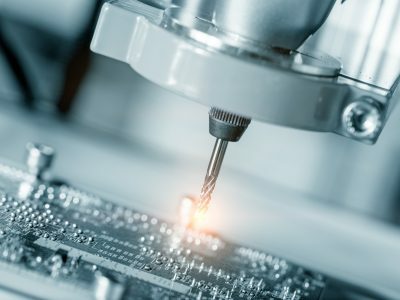 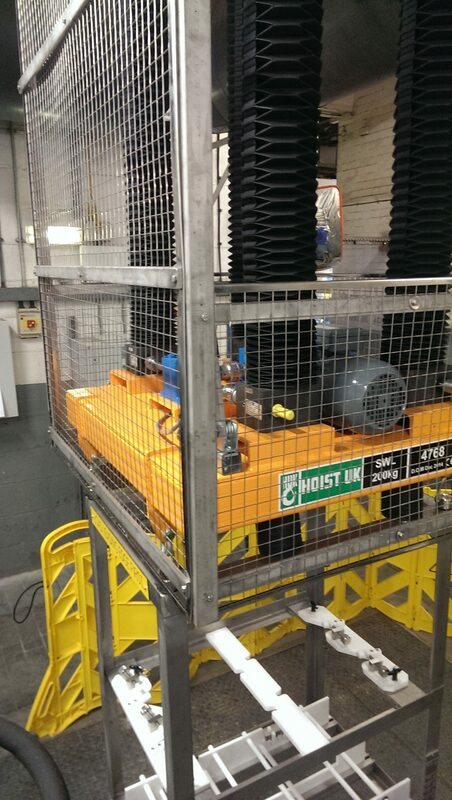 Our aerospace customer required a lifting and handling solution that could hold components in a stable, level and fixed condition whilst performing a smooth, automated vertical oscillation. 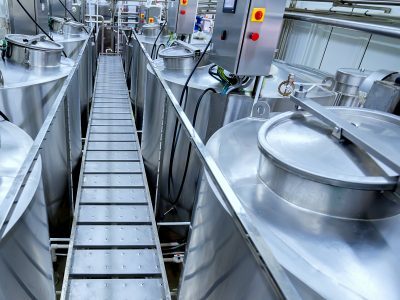 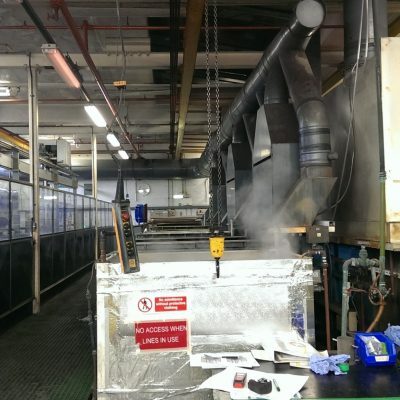 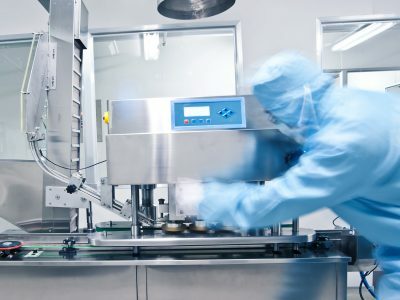 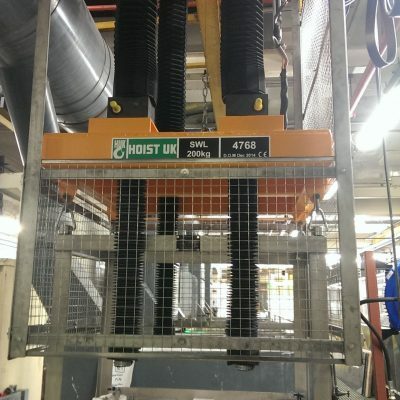 The crane system is designed for operation on a chemical process line facility with aggressive acidic conditions running 10 operation per hour on a 24 hour basis, with the system holding a fixture containing components in a stable level and fixed condition, whilst performing an automated smooth vertical oscillation. 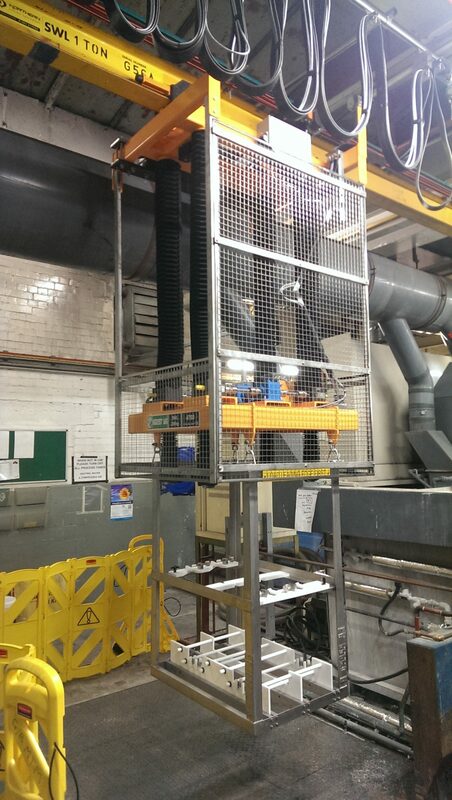 Given the non-stop operational times access was a challenge for this project. 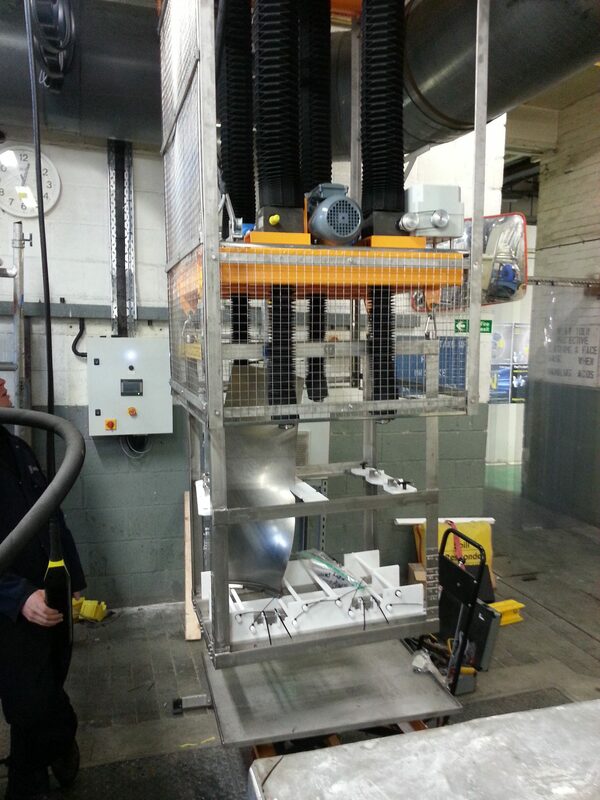 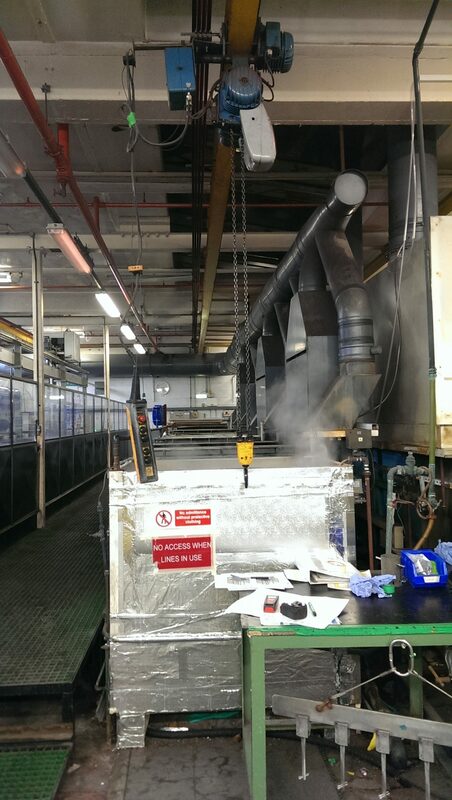 Installation and testing needed to be completed with minimal disruption to the customers operation. 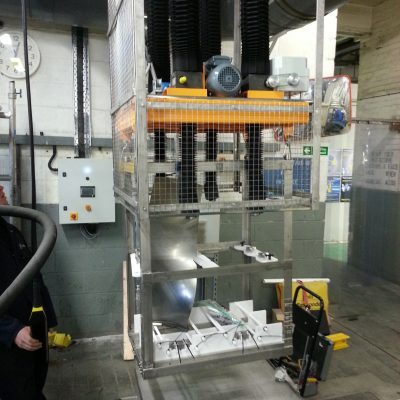 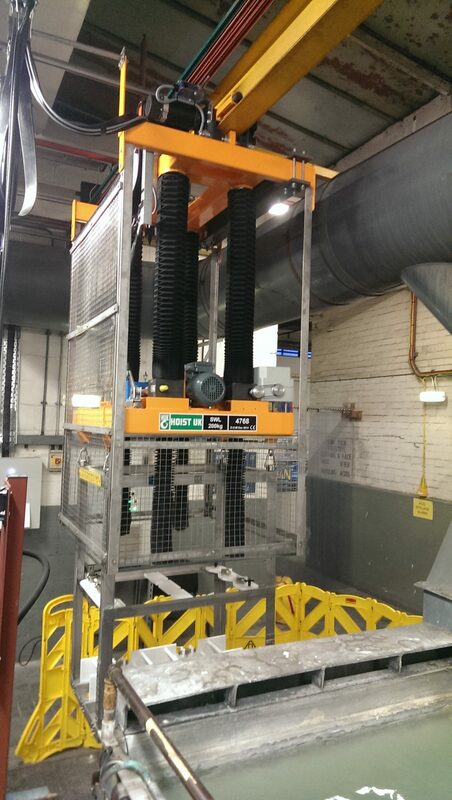 The crane system was installed and commissioned over a 3 day installation period on site following successful factory acceptance testing in our works. 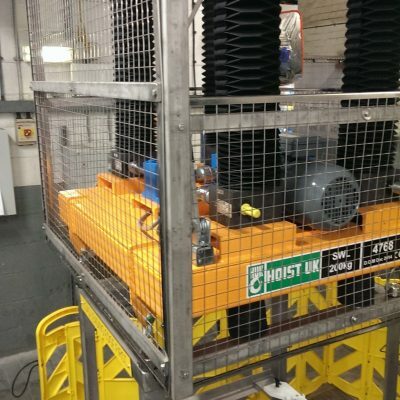 The solution comprised of a single drive mechanism powering 4 screw jacks and the fixture on the crane system is capable of safely processing up to 200 kg of component parts. 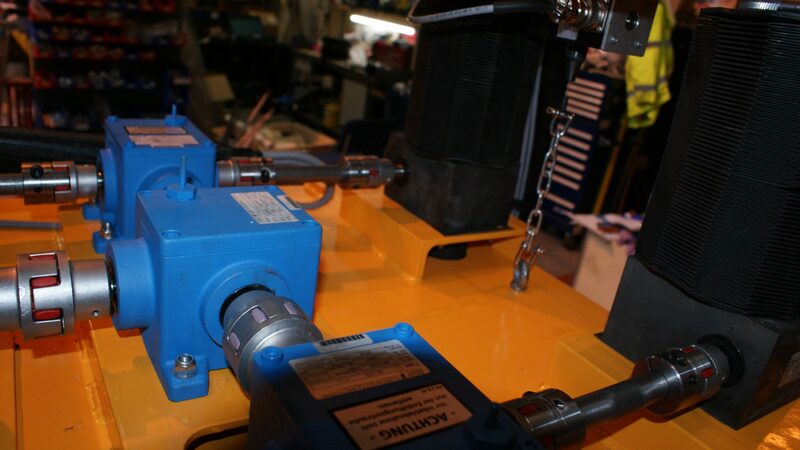 It uses a screw jack mechanism controlled by a PLC control system, which enables the customer to change the oscillation parameters of the machine through a touch screen HMI with the crane itself having encoders and limit switches on board to monitor the conditions of operation. 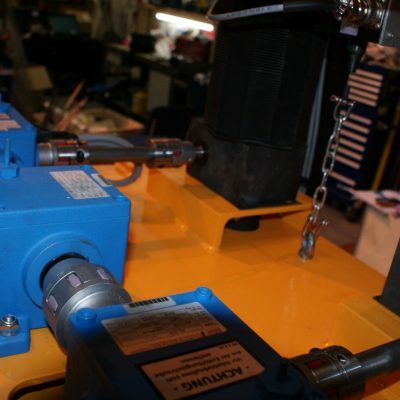 The crane system traverses along a fixed monorail beam on variable speed electric travel trolleys with the operator controlling the raise and lowering functions manually, as well as being able to run the oscillating function through a suspended pendant hand controller on a festoon system. 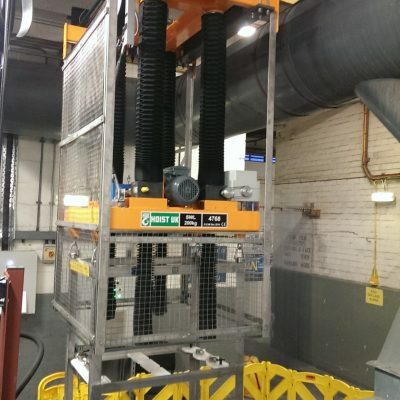 The main structure of the monorail crane is coated with a C4 painted finish to ISO12944 and stainless steel caging is present to all four sides to protect the operator when in use. 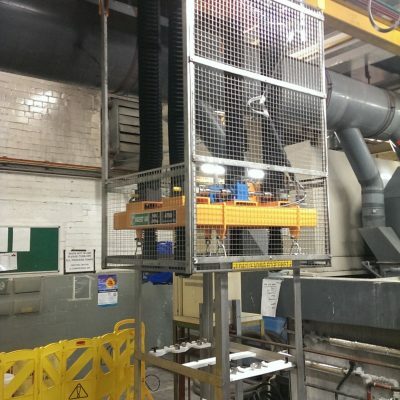 "Whilst we are unable to identify our customer due to the confidential nature of their industry, I can confirm that they were very happy with the crane system we installed and commissioned over a 3 day period on site. 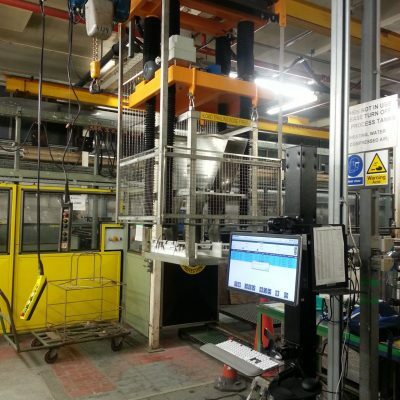 This is another bespoke project where we have demonstrated our ability and capacity to understand a customers strict requirements and translate those into a custom designed and manufactured lifting solution that is technically correct, fit for purpose and safety focused."